Has Richard Hamilton Overstayed his Welcome in Detroit? *(Via Detroit News) Auburn Hills — Everybody said the right things at Pistons practice Tuesday. Richard Hamilton said he wants to be a Piston for life. President Joe Dumars said Hamilton is the least of his worries and that he loves his star. That is all fine and dandy. But now it’s time for the Pistons to let Rip loose. Trade him. Let him go. Let Hamilton play meaningful games again. Let the Pistons move on so they can become a competitive team again. 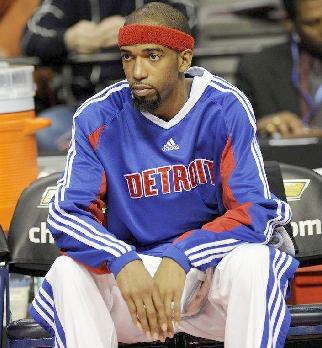 The Detroit News reported Tuesday that Hamilton was upset with being replaced in the starting lineup by Ben Gordon. Hamilton didn’t play Sunday because he said he had an upset stomach. A team source told The News Hamilton “quit” on the Pistons. Maybe Hamilton is ticked off. I understand why. Hamilton is a former basketball king who has been with the Pistons since 2002 and helped them win an NBA championship in 2004. Now he’s playing meaningless games for a team that’s 9-19. The Pistons are scrounging for crumbs with Toronto, Cleveland and Charlotte instead of reaching for the stars alongside Boston, Miami and Orlando. Read MORE of this story by Terry foster at the Detroit News.